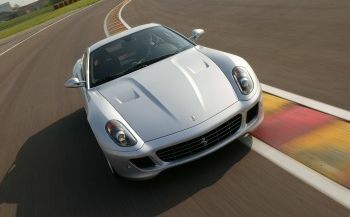 In Paris this week Ferrari will be announcing the extension of the One To One Personalisation Programme, which debuted last March solely for the 612 Scaglietti, to the 599 GTB Fiorano. The Ferrari stand at the 78th Paris Auto Show this week will host the official unveiling of the new Ferrari California, the stunning coupé-cabriolet that has created expectation amongst both those in the industry and the public at large. But this is not the only piece of news to come from the Prancing Horse at the Paris Auto Show as Ferrari will also be announcing an extension of the One To One Personalisation Programme, which debuted last March solely for the 612 Scaglietti, on to the 599 GTB Fiorano. Thanks to the success it has enjoyed over the last few months, Ferrari is now extending the service to the most powerful 12-cylinder engined car in the Maranello carmaker's current range. Ferrari 599 GTB Fiorano clients will now also be able to visit the dedicated Atelier at the Maranello factory to create their own truly bespoke sports car. Not only will they have a vast range of special content to choose from but they will also be assisted by specially trained Ferrari consultants. As at the Geneva International Motor Show in the spring, Ferrari has recreated the Atelier for its stand at the Paris Show too. 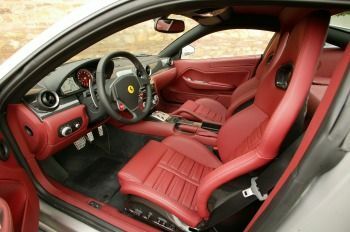 This is an area to which clients can come to work out every last detail of their 599 GTB Fiorano on the basis of their own personal needs and tastes. Dedicated Ferrari staff will be on hand to work with clients at each step of the way. Naturally, all of the various personalisation options on offer will ensure that the intrinsic character of the car is unchanged and will not in any way impinge upon the car’s active or passive safety systems.